Here are a few photos of a model I finished recently. 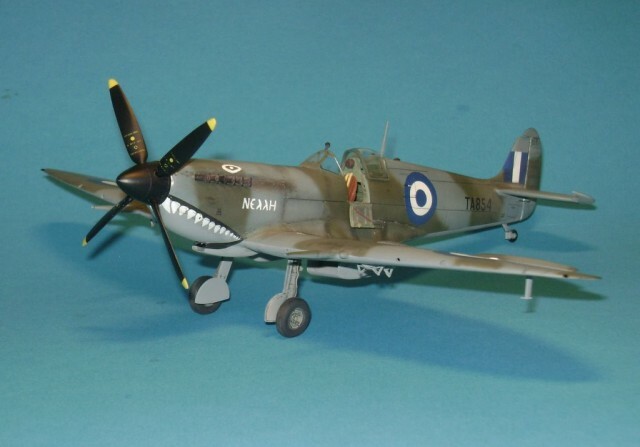 It is a Spitfire Mk. 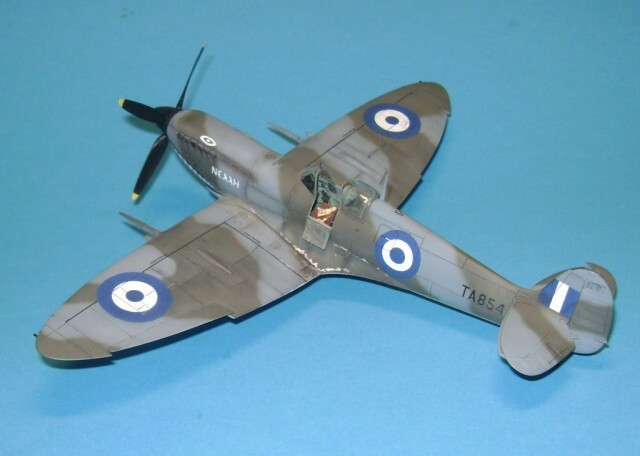 IXc in 1/48th scale. The model was crafted using the Tamiya Mk. Vb kit as a basis and the ICM Mk. IXc kit for the engine covers and radiators. The markings depict an aircraft used by the Greek Air Force during the Greek civil war circa 1947-9. I used Montex masks for the roundels and the shark teeth, plus Barracuda decals for stenils. The colours are Dark Green-Ocean Grey upper surfaces over Medium Sea Grey undersurfaces. The paints came from the Xtracolor range.